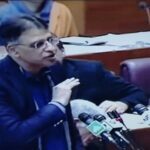 ISLAMABAD: The government has launched a reform plan for improving financial health of three major Public Sector Enterprises (PSEs) including Pakistan Steel Mills, Pakistan Railways and Pakistan International Airlines, according to Fiscal Policy Statement 2018/2019 issued by the ministry of finance. During current year 2018-2019, Pakistan Steel Mill has been delisted from privatization. After approval from cabinet, a business revival plan is being prepared at the Ministry of Industrial Production. Salary and wages for PSM’s employees have also been revived during 2018-2019. Ministry of Railways and Pakistan Railways have developed Pakistan Railway Strategic Plan (PRSP) to guide the future development of the rail sector in Pakistan. The process to develop strategic plan was based on wide consultation within railways and among government departments. It also included an extensive operational review, study of international railways strategies and detailed economic and financial analysis. The PRSP is underpinned by a financial analysis tool referred to as the Analytic Business Model (ABM) to help evaluate the implications of various policy and investment options and it also provides traffic and pricing forecasts by freight, passenger and infrastructure functions. Over the next decade the strategy aims to transform Pakistan Railways into a modern, effective and sustainable mode of transport in Pakistan. Pakistan International Airlines (PIAC) has been converted into a company under Companies Ordinance 1984 in order to improve corporate governance and move PIA under a more efficient and up to date legal framework. A Strategic Business Plan 2018-2022 has been developed, which provides a five-year roadmap for improving the national carrier’s performance. The plan prioritizes segregation of non-core from core functions, improvement in customer experience/product, route rationalization, cost reduction/optimization, HR capability development and IT modernization. The plan is supplemented by a financial restructuring plan, which focuses on curtailing financial and operational losses. The fiscal policy statement said that implementation of the government’s multi-faceted reforms for revival of PSEs is based on a number of pillars, which include divestment through strategic partnership and public offerings, strengthening enforcement of corporate governance rules, implementation of restructuring plans and regulatory reforms. Further, the government has decided to develop appropriate governance structures for the PSEs learning from the best practices as adopted in countries like China and Malaysia.